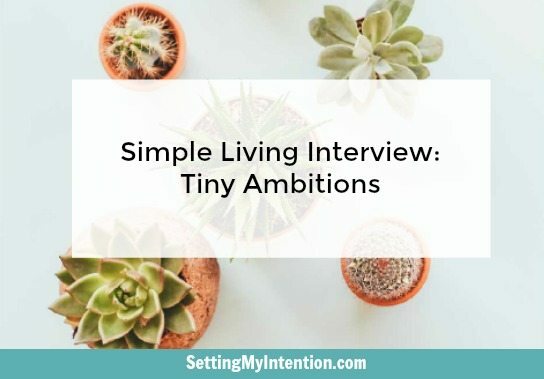 The featured post this week belongs to Angela from Setting My Intention from her guest post series "Simple Living-Tiny Ambitions" ! It's a guest post by Britt on the topic of minimalism and how de-cluttering and setting her goal on a tiny house has helped her live in a little more freedom. Make sure you stop by and read her post for some great tips!